Well, the AAA playoffs have been played off and it looks like the PCL did it. The Sacramento River Cats (OAK) beat the IL's Richmond Braves feat. Corky Miller. It was also the RC's third PCL championship. It all took place in Oklahoma City. They called it the Bricktown Showdown and from what I understand it was televised. What you may not know is that the River Cats have a captain. And that captain is Lou Merloni. Merloni had four RBI in the deciding game, including a three run homer. During the regular season, he only hit three home runs, but he ramped it up for the post-season with FOUR home runs! 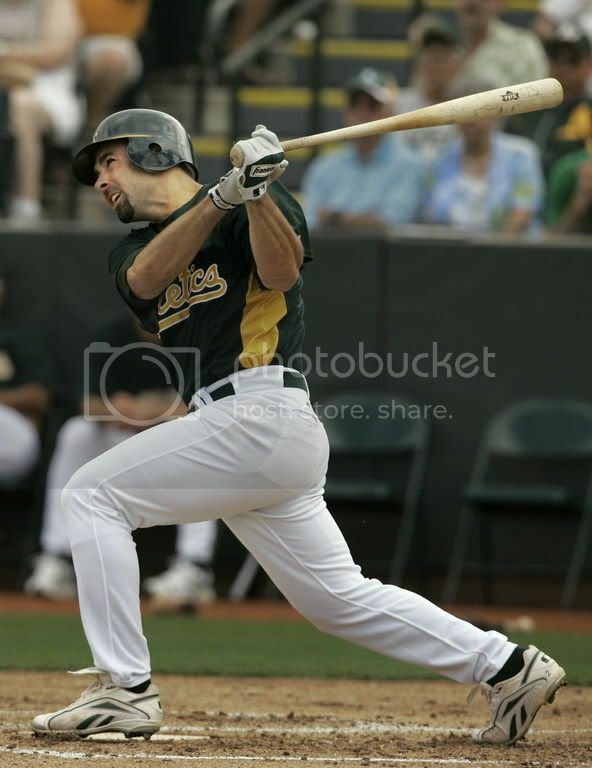 Wow, he is almost like Carlos Beltran! Merloni was named team MVP. And he is honored. Good for him, I guess. I'm not really a big LM fan.